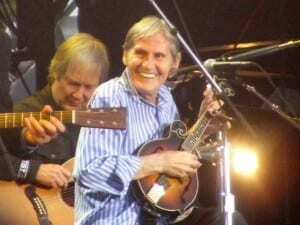 Levon Helm, the 71 year-old drummer-singer of The Band, is in the final stages of his battle with cancer. Levon Helm was diagnosed with throat cancer more than 10 years ago. Although he made a recovery, his health recently declined. Levo Helm postponed several concerts in the past month, but according to an April 6 statement, the postponements were due to a slipped disk in his back. The throat cancer affected his voice, but when Levon Helm returned to the stage his home became the venue for the Midnight Rambles, a weekly concert series based on the southern medicine shows of his youth. Levon Helm invited people into “The Barn” which is the Grammy winning studio attached to his home. Levon Helm would play for about four hours with notable musicians and entertainers such as Elvis Costello, Steely Dan, Norah Jones, and Grace Potter and the Nocturnals just to name a few. Levon Helm’s wife and daughter posted the announcement about his failing health on the main page of his fan site. “Please send your prayers and love to him as he makes his way through this part of his journey,” they wrote. Levon Helm is known for his soulful voice and country accent, a blend that is easily recognized when a song by The Band begins to play.